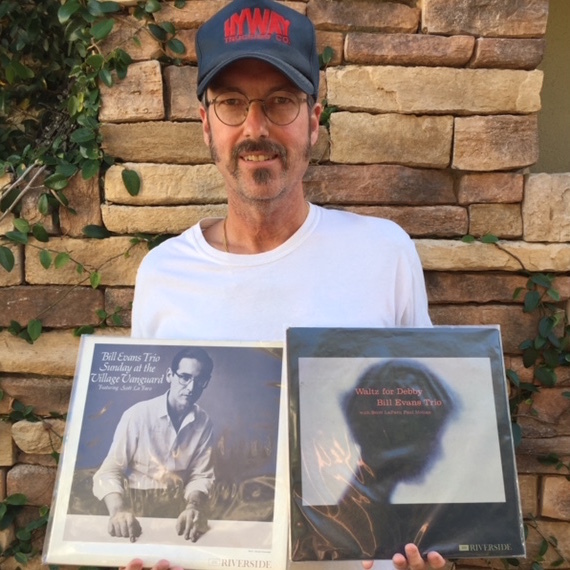 For our next installment of Jazz Collectors of Instagram, Deep Groove Mono sits down with Rob a.k.a. @robsjazzvinyl. 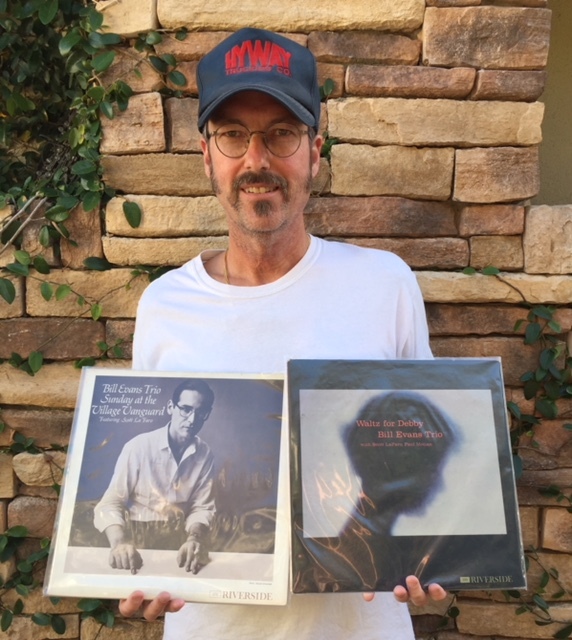 Rob’s a veteran of our hobby, getting his start collecting jazz in the late ‘70s. His most coveted originals make up an impressive list: Lee Morgan Sextet (Blue Note 1541), Sonny Clark Trio (Blue Note 1579), Sonny Rollins Plays (Period 1204), Cecil Payne Quintet (Signal 1203), and the blue vinyl version of Ted Curson’s Plenty of Horn (Old Town 2003). Since Rob joined Instagram back in 2016, he has managed to rack up over 600 posts and there’s plenty more where that came from. Enjoy the interview and be sure to check back for the next one! Rob: I started actively buying records sometime in the very early ‘70s. My best friend was taking guitar lessons and his teacher was showing him how to play Beatles songs so we got heavily into The Beatles. My parents were immigrants from Germany so they didn’t understand what the fuss was all about but after much begging, they took me to a store called EJ Korvettes in Rockville, Maryland and bought me the Sgt. Pepper album and a cheap stereo with a turntable. Once that happened it was all downhill from there! Any chance I got I was asking for records. My parents were pretty generous in buying me records on a regular basis even if they weren’t into the music. My musical taste changed throughout the ‘70s but mainly stuck to rock and roll (Hendrix, Led Zeppelin, the Stones, Pink Floyd, Yes, etc.). I still really enjoy rock and have a small but potent collection of early UK rock pressings. I got hooked on jazz around 1977-78 and started buying jazz records around that time but I never gave up my rock roots. I’ve been enjoying jazz records since then but took a long hiatus in the ‘90s on purchasing due to getting married, having kids and moving around. Rob: Well when I was growing up there were no CDs or downloads. If you wanted to listen to music, you went to the store and bought records (or tapes). That was the best time ever! The period when I grew up was still a big hippie era and I was big into that scene. There was a time when me and my friends were experimenting very heavily with hallucinogens and one night (actually it was very early in the morning) I was in my room still very stoned and listening to the local jazz radio station. Back then the DJs would play whole albums at that time of the morning and Coltrane’s A Love Supreme happened to be on. I couldn’t believe what I was hearing. It blew my mind. From then on I was focused on buying jazz but was not concerned about which pressing I was buying. I just went to the store and bought the titles that looked good to me. Rob: I haven’t counted but I’m guessing around 1,500. Rob: Some records I’ve had forever and I’m very obsessive-compulsive about the way I treat my records. If I see one dust particle I freak out so many are still in great shape. Where I live in southern California, there are no record stores that carry what I’m looking for and I hate eBay bidding wars (although I have participated in a few). I have been very lucky to meet some really awesome collectors and sellers through eBay purchases and on Instagram who know what I like and are gracious enough to sell me some goodies when I beg hard enough. So lately, most of my purchases have been directly through them. As far as eBay goes, I’m much more open to a BIN (Buy It Now) opposed to the bidding wars. Discogs is OK but it’s much more work since the sellers don’t post pictures of the item they are selling. You have to email them and maybe if you’re lucky they will send you pictures and a full description. Having said that, I have not had any nightmares yet on Discogs! Rob: Well I do prefer original pressings but I have my share of reissues. I don’t purchase records in any condition less than VG+ (and I really prefer VG++ or better). So in that range of condition some of the titles I’m looking for can be quite expensive. Also, we don’t know how long we will be around, so denying myself the earthly pleasure of experiencing some great music is not really an option. I have purchased reissues before thinking that I will never find a decent original and then a few days later I got the opportunity to buy the original so I guess it works both ways. Also there are some really excellent reissues that are being produced these days, and it’s a pleasure listening to those. In the end, there is something special about holding a piece of jazz history in your hands and listening to it, that is the pleasure of an original release. Rob: For the earlier pressings I prefer mono with one exception and that is the Contemporary Stereo label which ran from 1958-1960 I believe. Having said that, I don’t own a mono cartridge but someday I plan on having a second turntable set up for mono. Around the early to mid ‘60s and later the Blue Note stereo pressings sound very good. I have a bunch of those and really enjoy them. Rob: I have a Music Hall 5.1 table with an Ortofon Bronze cartridge and an Outlaw Audio 100-watt receiver. My speakers are JBL L166 three-way from the mid ‘70s. I bought them “new old stock” (NOS) in the box many, many years ago and love them. I often think of upgrading my system even though I’m very happy with the sound I currently have. I’d love to own a McIntosh tube setup someday! Rob: Well aside from the obvious labels (Blue Note, Prestige, Riverside, Impulse, Columbia, etc. ), I really enjoy the smaller labels: Contemporary, Bethlehem, Period, JazzWest, VeeJay, Argo, Roulette, Hifi Jazz, Debut, and Jazztime. My favorite artist is probably Bill Evans. I have never heard anything he played on that I didn’t like. Mingus is another favorite as well as Eric Dolphy, and of course, Miles. Rob: That’s a very tough question. Probably Bill Evans Sunday at the Village Vanguard and Waltz For Debby. Those albums always put me in the right place — relaxing and intellectual at the same time. Also I think Miles’ Kind of Blue could be one of the greatest if not the greatest jazz recordings of all time. I have three copies of that record and would never turn down another, and of course Coltrane’s A Love Supreme, which was pretty much my entry point into all of this. Rob: The most recent story I can think of is that I have invested in an ultrasonic record cleaner which was not cheap by any means. I have become friends with a an absolutely amazing person and collector (@omakaseglass) whose grandmother happens to live very close to me so he comes down periodically for visits and brings records he wants to clean. 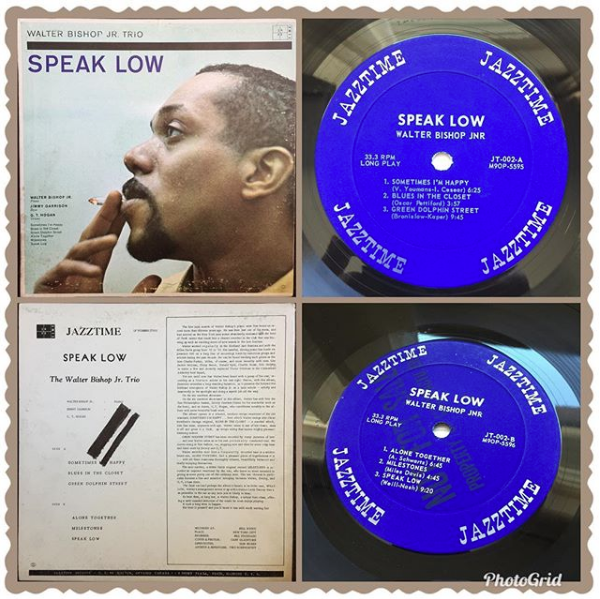 Not too long ago, among the records he brought down was a rare promo copy of Walter Bishop’s Speak Low, which was in extremely clean condition. I’m pretty sure he had no intention of letting it go when he brought it but the second I saw it, I knew I had to try. I played it as cool as I could. After we listened to the record, cleaned the others he brought, and had some amazing conversations, as he was getting ready to leave I threw a number at him for the Walter Bishop. Suddenly I saw his face turn bright white, his mouth got real dry and he started sweating! I think the thought of leaving that record behind was starting to give him a heart attack so I backed off LOL!!! I was getting worried! After he calmed down I think he realized that I would give it a great home as I have done with other records I purchased from him, and we did the deal. That record will stay with me forever! Rob: eBay has been pretty good overall. It’s like a constantly changing record store at your fingertips. I have been introduced to some title’s I wasn’t aware of by looking through eBay. The tough part is that you are competing against some people that will pay any price for a record. The sky’s the limit for some people, so I feel that it has definitely raised the prices considerably over the years. That’s why I really shy away from the auctions and bidding wars and try to do the BIN if the price is right. What really irritates me is when a seller puts a BIN with a best offer but they are not willing to take any reasonable offer. They just use the “make offer” to entice you into pretty much paying full price. I especially like to look through eBay when I’m in meetings at work and become very bored! Rob: Well the old days were my favorite when record shops were plentiful. I grew up in the Washington D.C. area where there were many great options when we wanted to go shopping. The prices for records these days (including reissues) are very high. It seems like more people are buying jazz records too, which I suppose is a good thing. I think it will level off in a few years and the prices will come down a bit. That’s just my thought. Also, over the past few years there have been some amazing releases of previously unreleased material and the quality is fantastic. Rob: Well I know of some absolutely amazing collectors who strive to obtain every release on a particular label and I salute them for that — I thoroughly enjoy looking at their Instagram posts! For me, not all releases on a particular label are necessarily great musically so I just buy what I like to hear. If I don’t like it I get rid of it. Also I sense that many people have ignored some of these great musicians’ careers after the hard bop era of the ‘50s and ‘60s was over. Many of them didn’t die or stop making music and they actually got better as players and continued to make great music on labels such as Steeplechase and Muse. These records were fantastic recordings with fantastic players and should be enjoyed just as much as the earlier stuff. And they can be had for very cheap too! I have plenty of those in my collection.